Sometimes, I like to call myself a granny in disguise. I love all the domestic arts – knitting, crocheting, sewing etc – and I’m constantly on the lookout for new, creative things to do with them! Amigurumi is the art of crocheting little dolls and toys, and I must say that I am OBSESSED. I was 6 when Tim Burton’s Nightmare Before Christmas came out, and my whole family brought me to the movies to watch it. My grandpa, grandma, aunt, dad and mom all fell asleep (HERESY! ), but my little mind was blown by the music, story, and Tim Burton Magic. 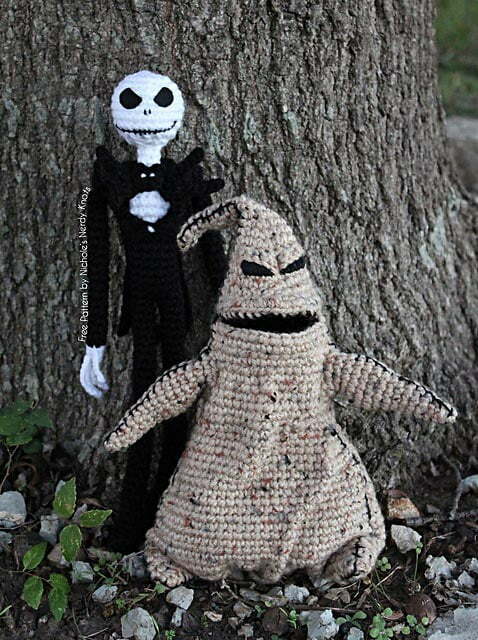 I’ve been obsessed with everything Nightmare ever since, and these crocheted Jack and Boogie dolls are just TOO CUTE! The pattern is also free on Ravelry, which is just too amazing. I say that I like making all things Minion because my nephews loves them, but really I think I do it for myself. Who doesn’t love these little yellow critters? 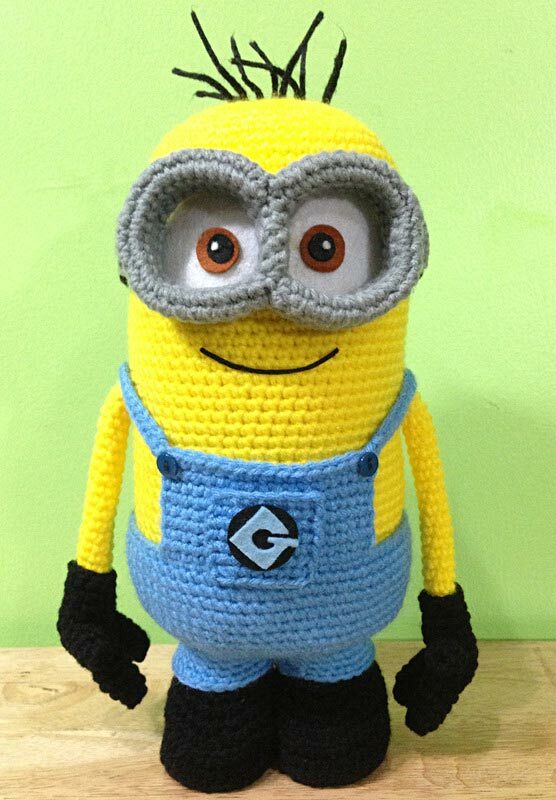 And what’s better, you can crochet your very own!! Safety Eyes and Ami Manila has wonderful step by step instructions, and even shows you how to put the components together! Speaking of nephews, you can’t be around two rambunctious boys under 5 and not know about the Octonauts. Captain Barnacles and his merry band save sea creatures from all sorts of trouble, while teaching kids about marine life along the way. Peso is the doctor of the group, and very calm under stress. And he’s a penguin! Even if you’re not into the Octonauts, you can’t deny that penguins are just tres cute! Before the age of iPhones – I feel so old! – I used to be surrounded by piles and piles of comic books. Garfield was my aunt’s favourite, and I must say that his love for lasagne and naps really spoke to me too. 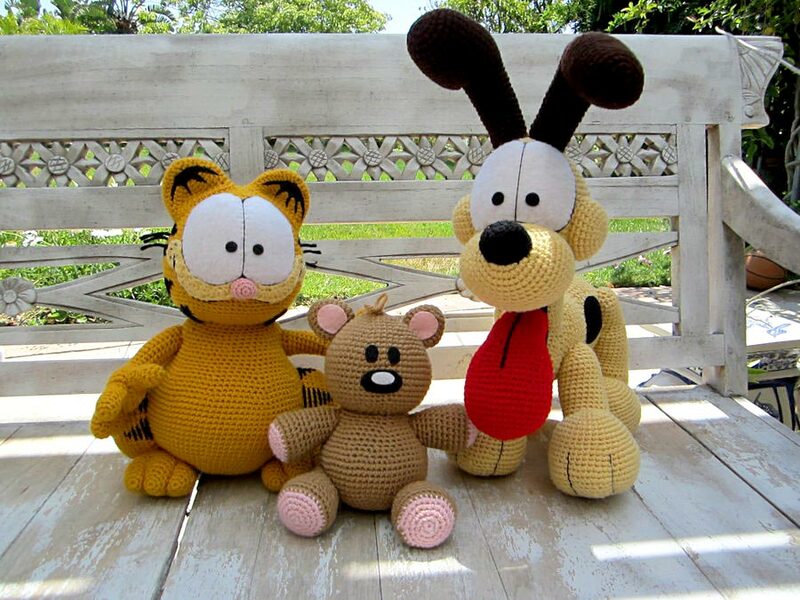 Aphid777 on Deviant Art very kindly put together instructions for Pookie, Garfield’s teddy, and the results are just uncanny! 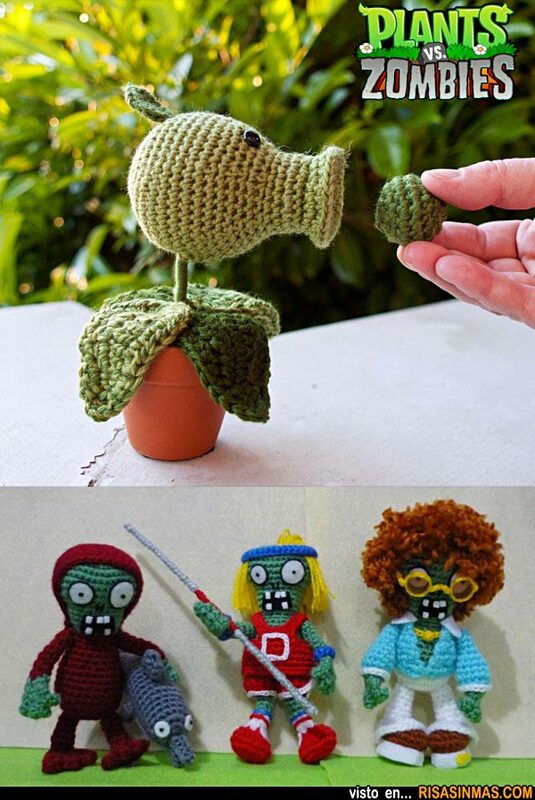 I’m not much of a gardener, but artillery powered plants AND zombies? I’m in! This site unfortunately has no instructions and isn’t in English, but I’m totally crushing on these amazing crochet replicas anyway! 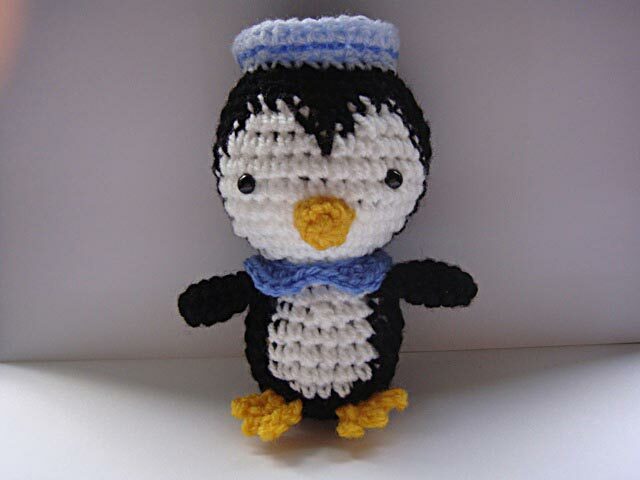 Do you absolutely love amigurumi too? I’d love to know what you’re crushing on in the comments below! If you also want to keep up to date with all the craft that inspires me, you can also follow me on Pinterest!